Governor Ifeanyi Ugwuanyi of Enugu State on Thursday granted another scholarship to 340 students of the Institute of Management and Technology (IMT), Enugu. The cost of the scholarship is worth N54.4 million which covers the tuition fees for four years of academic studies in all engineering programmes of the institution. 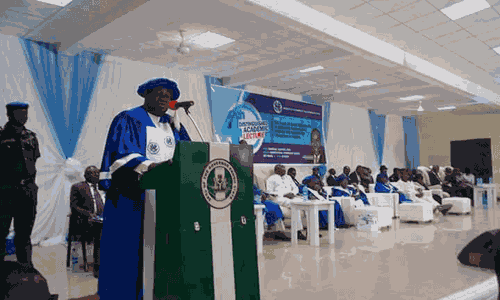 The Governor made this known at at IMT’s Conference Centre when delivering the 4th Distinguished Academic Lecture of the institute, titled: “The place of good governance in achieving functional science and technology education in Nigeria”. He further explained that the 340 beneficiaries of the scholarships will be spread across the 17 local government areas, resulting in 20students per council. Recall, that few weeks ago the same Governor offered Scholarship to about 340 indigent students of the State Polytechnic, Iwollo, well the governor made it known that the decision was in line with the policy of providing access to education at all levels to all strata of the society in all educational fields of engineering and technology.